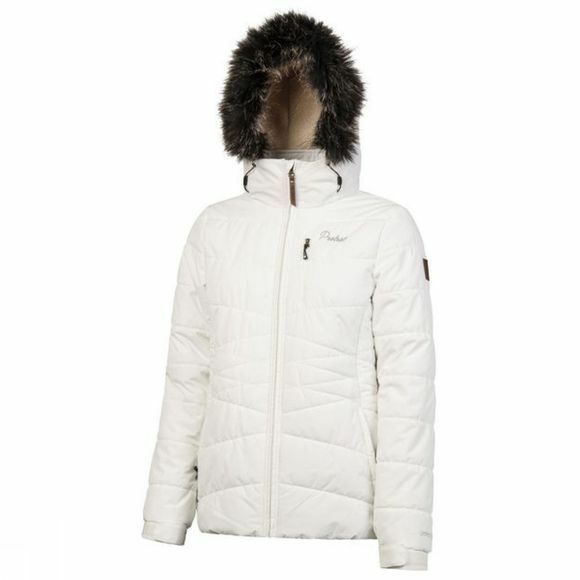 The Women's Valdez Jacket from Protest is an ideal ski jacket for long days on the slopes. It boasts a waterproof fabric that is critically seam-sealed for excellent protection against the elements. The quilted styling offers warmth while the adjustable cuffs and hood can be cinched in for better heat retention when you need it. The hood also boasts a faux fur trim that can be removed allowing you to switch up the style as you see fit. There are also plenty of pockets for stashing essentials for the day.